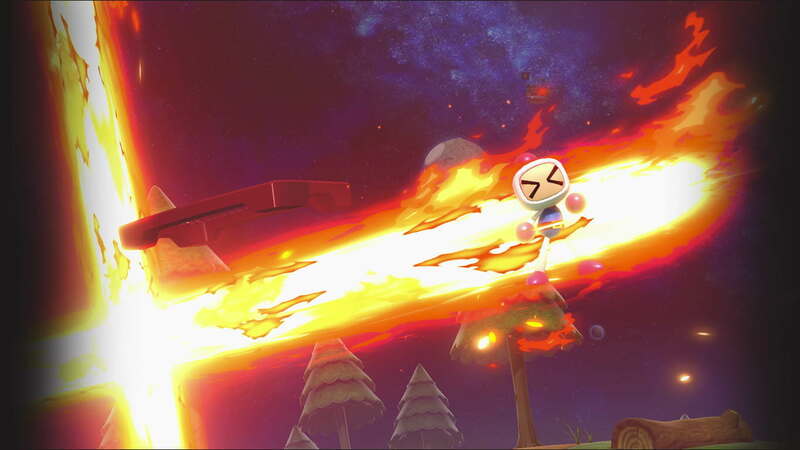 I like the little touch they made to Bomberman when he gets hit by an explosion. Pretty expressive for an AT. Kind of upset he's not a playable character. An image of Bomberman appears briefly at 21:40. Hey gang. So Smash is finally released. I figured I'd share what I have at the moment and update as I finish the game. Thus far I have found Bomberman's spirit in Adventure Mode and unlocked him. Below are some screenshots of that. 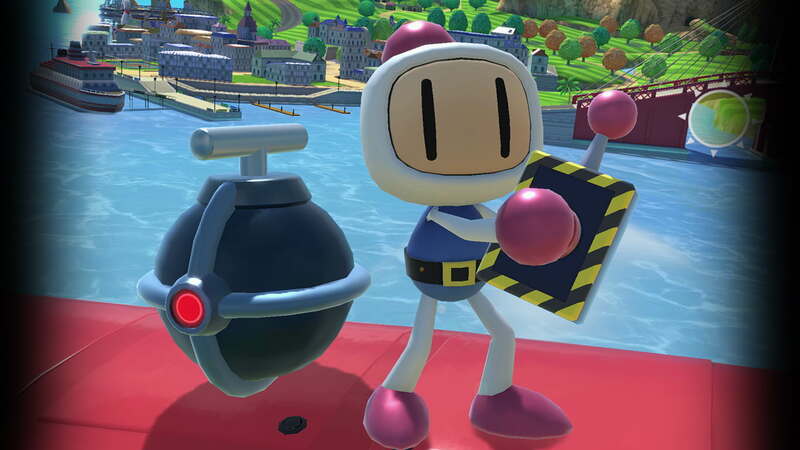 Bomberman also appears as a silhouette in the rules about spirit abilities, whereas some of them can be used to open barriers throughout the world map. I do have full HD size screenshots if anyone is interested for any purpose. Just let me know. I took the courtesy of making a GIF of that action, although there isn't much to it. Oddly enough it seems multiple spirits can do the same function. I was able to destroy rocks with not only Bomberman but also Poppy Bros. Jr. I'll share more things as I make it further. Hey guys. Here's a bit more for ya. I completed Adventure Mode entirely and dabbled around in different menus. Here's some more screens. 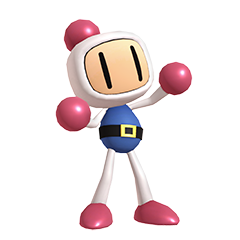 We have Bomberman's stats at Level 99, no level up available. If you dismiss him at level 1 he's worth 400 SP and at level 99 he's worth 2,000 SP. He's available as an online tag image and in the tips that show up on loading screens. 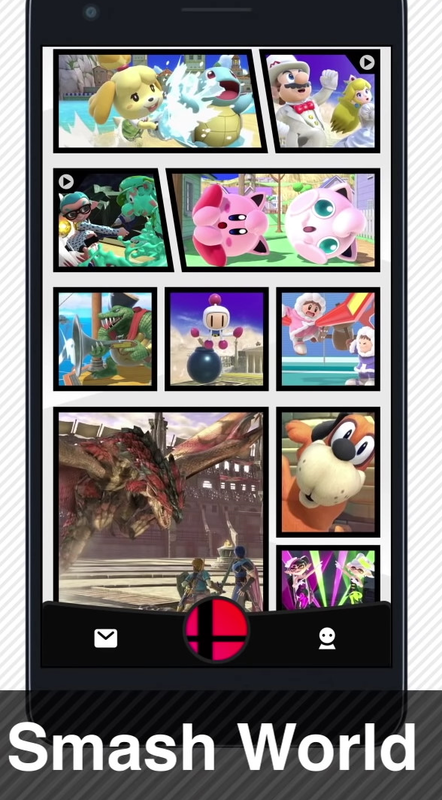 In Training mode you can select the assist trophies individually so you can choose Bomberman at any time. More images and GIFs of him in action are to follow. Lastly he appears in one of the Challenge images, whereas you must collect 777 Spirits to unlock it. I'll post that later as well. Here's some more stuff. So I completed the challenge that has Bomberman in the picture. Here's a before and after image from the main screen as well as the screenshot it displays. Now some of you may have heard of a new glitch with Isabelle. 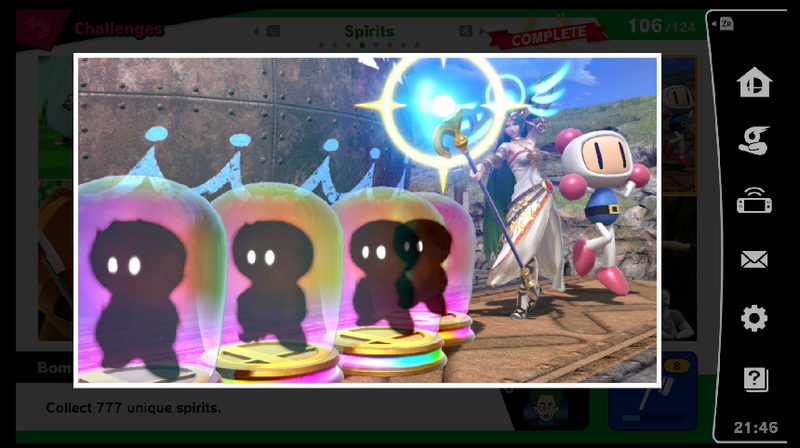 If two players use the fishing hook and try to grab an assist trophy at the same time, it will cause one of the Isabelles to infinitely summon that assist character. So you heard right, you can summon infinite Bombermen with this glitch and it is quite hilarious. I should point out, once enough Bomberman are on screen, the bombs will actually disappear and nothing will detonate! 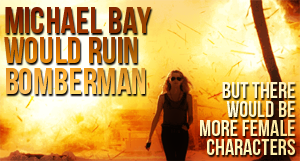 It's just a bunch of Bombermen running around! I will post a video in the near future but here's some screenshots in the mean time. 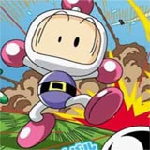 Here's a video someone made, animating potential movesets for Bomberman. It's very well thought out and considering we've touched on this already, I felt it was worth sharing. I've continued to scour the game for things to share and found just a bit more. 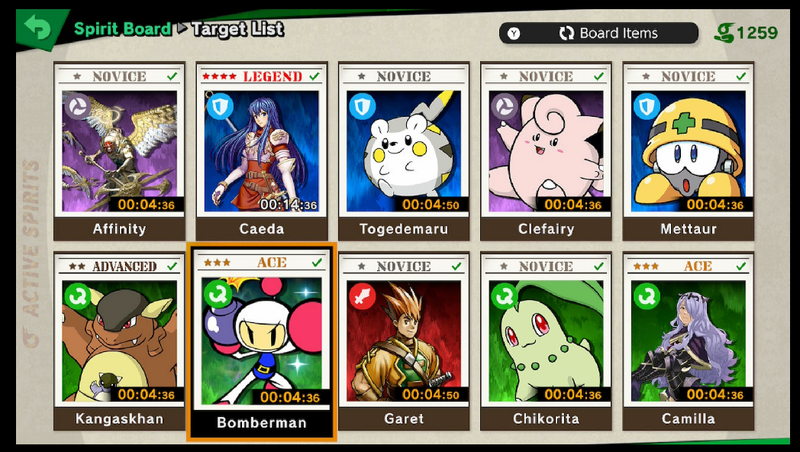 I found that Bomberman does appear on the spirit board so that confirms that. I also went into multiplayer and was messing around with the camera settings. I took some cool screens of Bomberman with different filters and wanted to post a few. This link below goes to everything I have so far, including 60 random screens I took with the multiplayer camera.